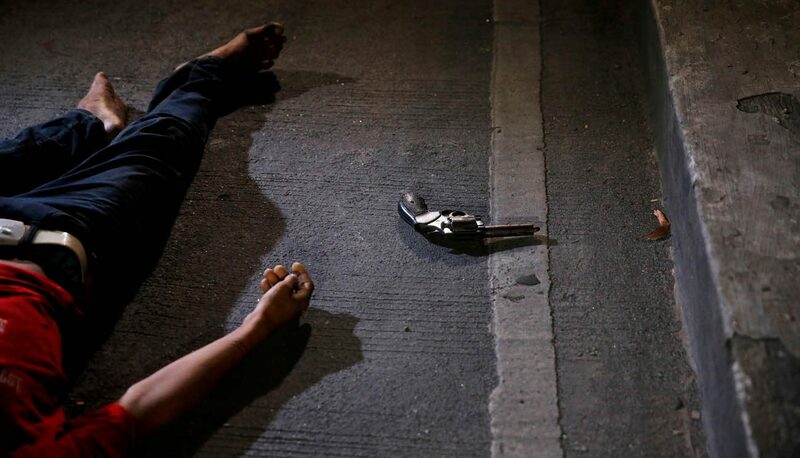 MANILA, Philippines (CNS) — Church leaders in the Philippines warned of more killings after the national police announced it is relaunching the government’s controversial anti-narcotics war, reported ucanews.com. Human rights groups say President Rodrigo Duterte’s campaign against illegal drugs has claimed the lives of at least 13,000 people since it was launched in 2016. National Police Chief Ronald dela Rosa promised a “bloodless” operation, adding that police would observe the ” true spirit” of ” tokhang,” the police anti-narcotics campaign. “Tokhang,” a combination of the Visayan words “toktok” (knock) and “hangyo” (appeal), is the police’s door-to-door campaign to convince drug users to surrender for rehabilitation. “The spirit of ‘Tokhang,’ if implemented properly, is bloodless,” said dela Rosa. “That’s why it’s called knock and plead,” added the police chief. However, Bishop Pablo Virgilio David of Calookan expressed doubt that authorities would be able to get rid of the stigma of the killings that came with the campaign last year. In its own “accomplishment report” released last the month, the government listed nearly 4,000 “drug personalities” killed during the anti-drug operations, while 16,355 homicide cases were reported to be under investigation. The bishop told ucanews.com that the killings never stopped, even after the police declared in October the suspension of the anti-narcotics campaign. Bishop David said at least 19 people were killed from Oct. 13 to Jan. 13 near his residence in Caloocan, where most drug-related killings in metropolitan Manila were reported. Benedictine Sister Mary John Mananzan, a vocal critic of the government’s anti-narcotics war, also said the killings have not stopped. Nardy Sabino, secretary-general of the Promotion of Church People’s Response, said the resumption of the anti-drugs campaign will only “strengthen the culture of impunity” in the country.